A decade of design experience with event branding and franchise identities for Major League Baseball. Along with the Frederick and Froberg creative team since 2005 I have collaborated with MLB Design Services in New York City. I've supplied my creative talents for their signature events from the All-Star Game to the World Series. Due to contractual agreements the specifics of those logos may not be published. They are available by request. From the Winter Classic to the All-Star Game, Over seven years of brand development for the NHL's most celebrated events. Since 2008 Fanbrandz has been a creative partner with the National Hockey League. Along side the creative direction of the NHL Creative team I've supplied my creative vision to their signature events from the All-Star Game, Heritage Classic and to their retro-inspired event the, Winter Classic. Together we've created many of the iconic designs for these memorable events. Our research and development uncovered classic print-based branding using stars and vertical bars as far back as 1908. Herbert Hoover's 1928 campaign firmly established a look that lasted decades. The signature look was expanded in FDR's campaigns, and eventually with John Kennedy and beyond. Below is a small collection of our branding and development process. The full backstory on our development process with the NHL was featured in HOW Design. In the second installment of the Winter Classic, Wrigley Field plays host to this rising NHL New Year's traditional. This marked my studio's first collaboration with the National Hockey League on this spectacular event. This event mark was heavily inspired by the Wrigley Field "Home of Chicago Cubs" sign at the front of the stadium. This also inspired the die-cut ticket design featuring the unique shape. The custom "Winter" script would become a traditional for all following Winter Classic branding, and a staple in this retro event. 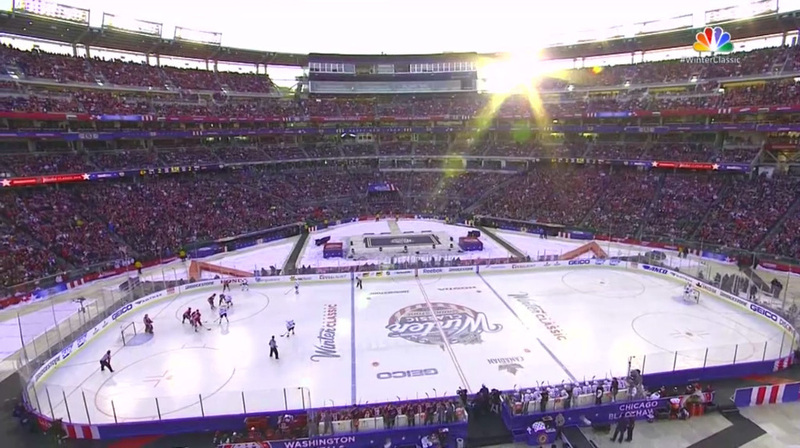 The Winter Classic has become a New Year's Day sports classic for NHL. The throwback sweaters and open air rinks provide a unique experience that conjures up the beginnings of the sport. Fans agree as licensed products, ticket sales and broadcast ratings are off the charts. Extending brands from Chrysler to Ford into graphically rich apparel programs. Trend collections that celebrate the heritage of the biggest American car brands. My studio's creative team found the challenge was that the licensees around the world were inconsistent in how they applied the brand. So the product would merchandise better, we developed a graphic application style guide that showed how to integrate the logo, as well as trend-driven art collections with unified designs and prints. Apparel development from TV's Miami Vice to Star Trek. Creating original licensed apparel collections for iconic television shows. In 2008 Soledad O'Brien launched 'Black in America' with CNN to feature various issues regarding African-Americans, including panel discussions facing the black community. Along with the launch of her production group Starfish Media, Soledad evolved the series into tour, traveling to college campus across the United States. The Black in America 2015 tour gathers academics, experts, and students all races to discuss their personal stories of how policing impacts their lives. I was contacted direct by Richard Paris, COO of Starfish Media to develop the tour's branding program and identity. Together we created a package of marks to promote and activate Soledad's vision for the Black in America Tour. Central Casting has been the recognized leader in casting for background actors since its inception in 1925. Over the years there have been many changes in the entertainment industry, but Central Casting has always remained at the forefront of background casting. By 2008, Entertainment Partners reached out to better establish Central Casting's identity. The identity hearkened back to their heritage in the Hollywood scene. The result was a clean a modern take on classic 1930 show business typography.